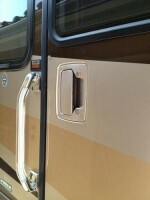 The RV latch on a door is easily one of the areas that takes the biggest beating and is subject to overuse. Thats why re-painting may be in order. The RV door latch is easily one of the areas that takes the biggest beating and is subject to overuse. It only takes a few trips to start to see the wear on the RV basement door latches and on the entry RV latch. 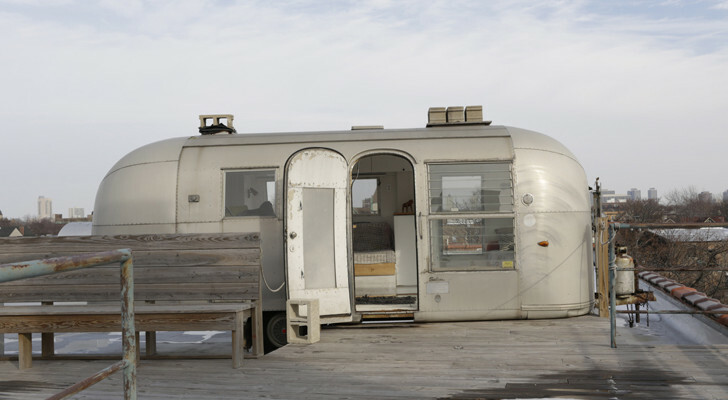 The discoloration tends to show the RV’s age long before the paint does. 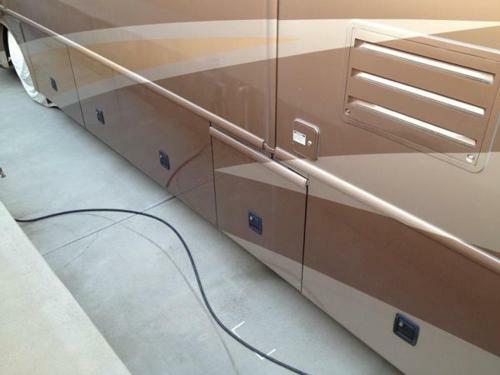 A RV’er by the user-name “Craig P.” over at the IRV2.com forums decided to do something about his tired and worn RV latches. 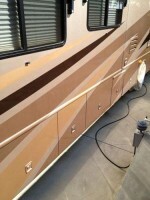 He has been quoted a price by an auto body shop of $1100 to paint his each RV latch on his 2005 Fleetwood Providence 39J. He felt that was out side his price range so he decided to take on the project himself. 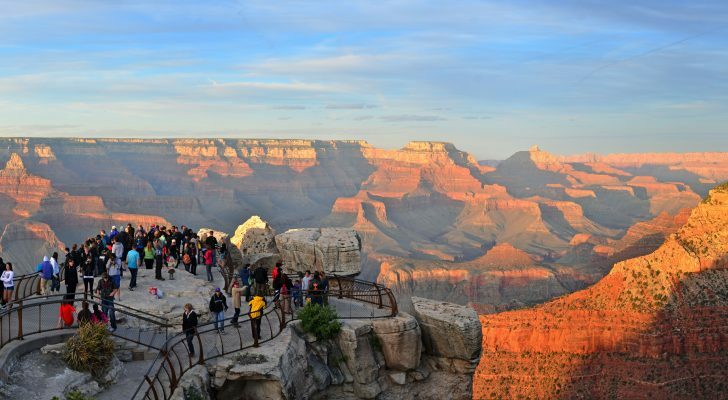 The project took 5 days to complete but Craig admittedly took his time. 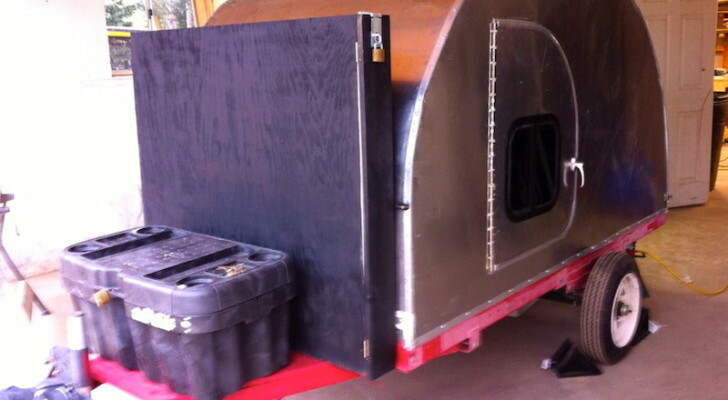 He says if you can use an aerosol spray paint can then they have the skill set for this DIY RV project. 1. 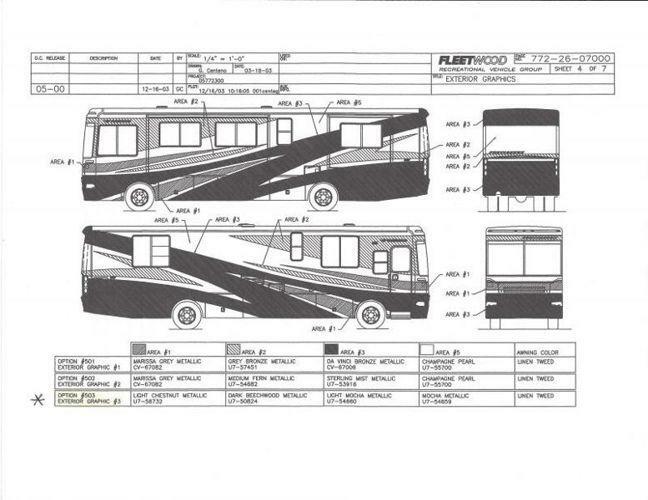 Figure out the paint codes for your RV (Craig found his on a color code sheet on the wall of the bedroom closet). 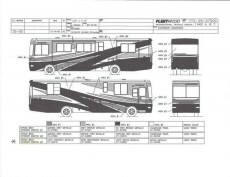 Alternatively you can contact your RV manufacturer with your VIN and try to source that information directly. 2. Find a nearby Sherwin Williams Auto Paint Supplier. They have the equipment to mix the paint and put it into aerosol cans for simple use. There is a 3 can minimum. 3. Double check your colors before ordering. 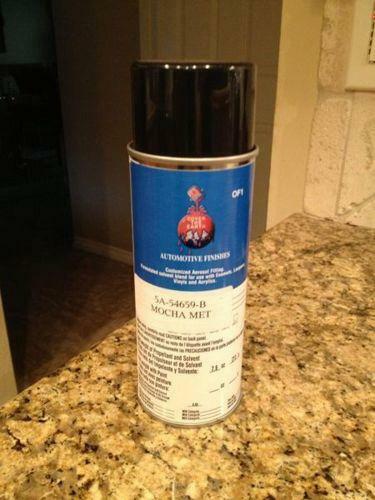 There are no refunds or do-overs allowed when it comes to Automotive Paint. 4. 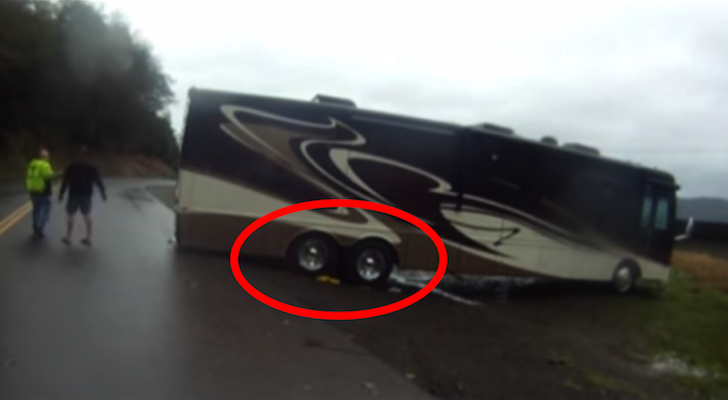 Remove the RV Latch or Latches in question. 5. 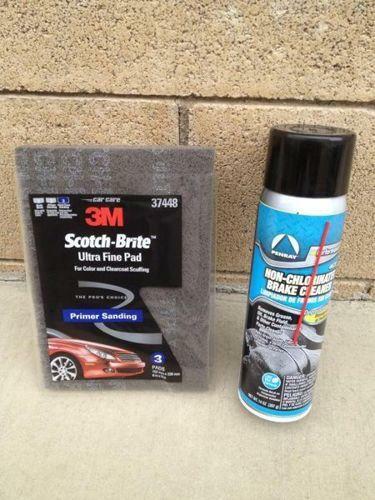 Use aerosol brake cleaner to remove any leftover polish/wax. 6. 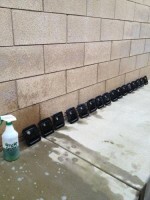 Wash with Simple Green and water then let them sit and dry. Preferably in the sun. 7. Lightly Sand each RV Latch with 3m Scotch-Brite Auto Sanding Pads. 8. 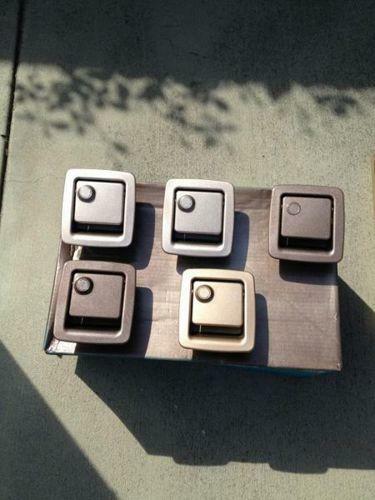 Cover all the key holes with tape and cut around each tumbler with a razor blade or exact-o knife. 9. Wipe down remaining exposed surfaces on each RV latch with rubbing alcohol to remove any residue. 1. Once over with a light dusting. 2. Follow up with two heavy coats with 10 minute intervals. 3. Allow paint to cure for 24 hours. 4. Wipe down each RV latch with alcohol. 5. 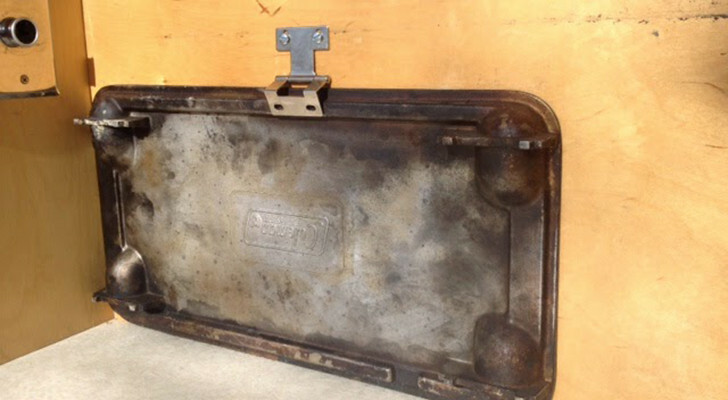 Apply clear coat in the same manner as steps 1 – 3. 6. Allow RV latches to cure under UV light as stated on the clear coat instructions. This process should be done with caution and care. 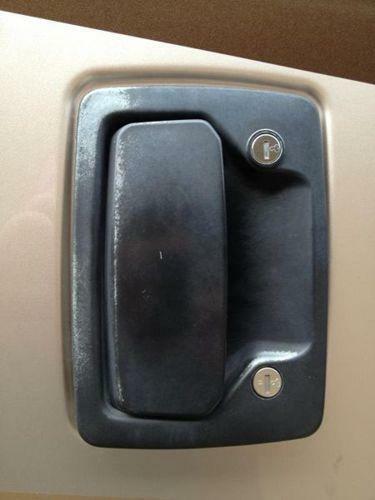 Its easy to strip screws, scratch your newly painted RV latch, and any other array of annoying collateral damage that can occur. Murphy’s law definetely applies here so be sure to get a good nights rest before starting this part. 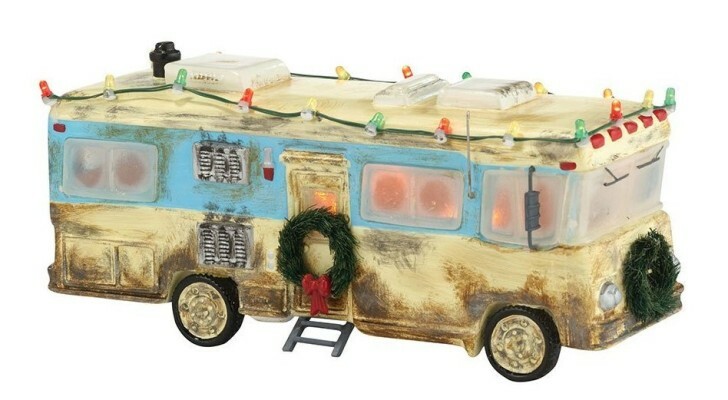 Total cost for this RV mod as around $300 when it was all said and done. 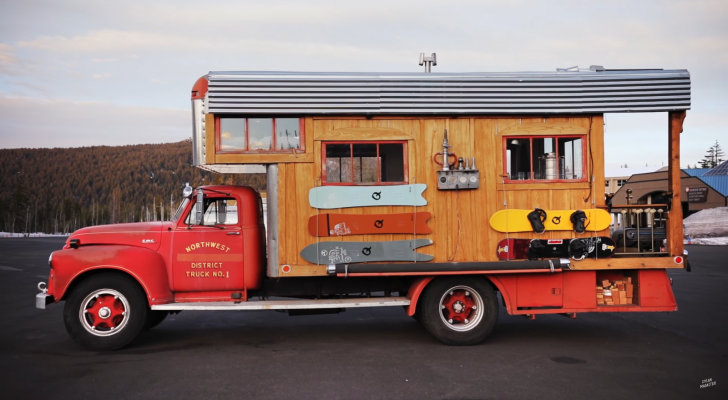 That doesn’t take into account the labor and frustration costs yet no RV mod ever does. 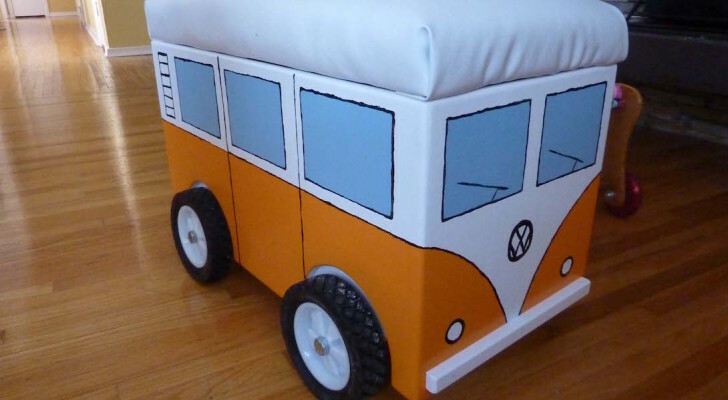 You can see additional photos and more detailed instructions by visiting the source link below.